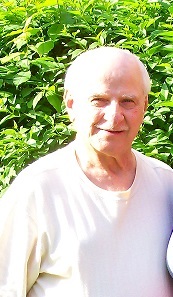 Adam R. Barscz, 83, of Erie, PA. and formerly of Oil City died at 2:04 A.M. Sunday March 17, 2019 at UPMC-Hamot . Born Dec. 24, 1935 in Oil City, PA., he was the son of the late Frank & Josephine Skiba Barscz. Adam was a 1955 graduate of Oil City High School. He had worked in the Oil City Foster Forbes Glass Plant and moved to Erie in 1985 and had worked for OEM as an inspector there for many years. Adam enjoyed spending time with his daughter and his grandchildren and liked to take his scooter out and enjoy the Erie sunshine. Christopher Woloszyn of Mechanicsburg, PA.
and by brothers Stanley, John, Walter, Casmire and Stephen Barscz and sisters Agnes Turk, Mary Jo Barscz and Ann M. Barscz. Friends will be received from 10:00-11:00 A.M. Tuesday in St. Stephens Church. Mass of Christian Burial will be celebrated at 11:00 A.M. in the Church with Fr. John Miller Presiding.